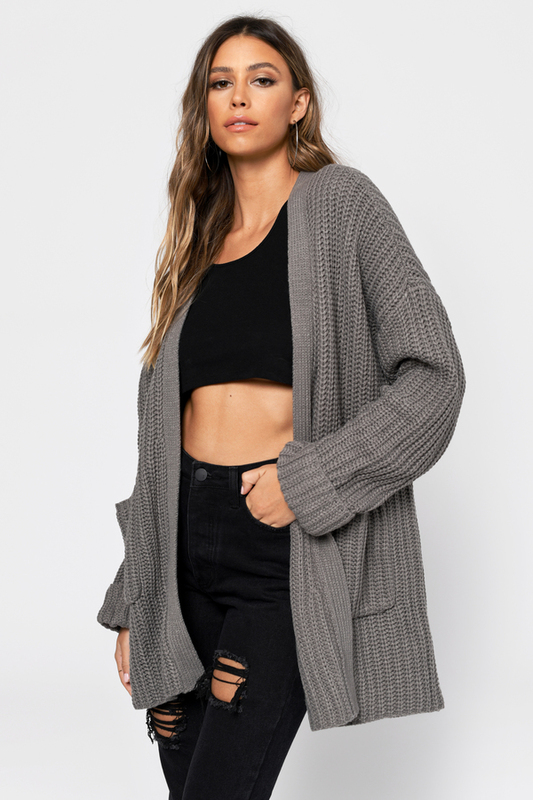 Check out Tobi's A Little Closer Oversized Cardigan Cozy up in the A Little Closer Grey Oversized Cardigan. 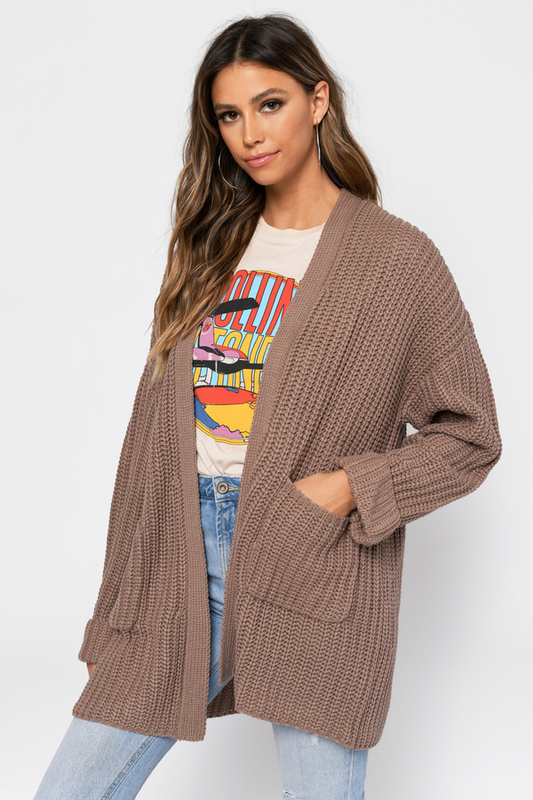 This oversized cable knit cardigan features an open front, relaxed sleeves, and a slouchy fit. Perfect for covering up all your layers, pair this classic cardigan with a two piece cord set and boots. Cozy up in the A Little Closer Taupe Oversized Cardigan. This oversized cable knit cardigan features an open front, relaxed sleeves, and a slouchy fit. Perfect for covering up all your layers, pair this classic cardigan with a two piece cord set and boots. Cozy up in the A Little Closer Grey Oversized Cardigan. This oversized cable knit cardigan features an open front, relaxed sleeves, and a slouchy fit. Perfect for covering up all your layers, pair this classic cardigan with a two piece cord set and boots. Cozy up in the A Little Closer Black Oversized Cardigan. This oversized cable knit cardigan features an open front, relaxed sleeves, and a slouchy fit. Perfect for covering up all your layers, pair this classic cardigan with a two piece cord set and boots. Grey. Black modeled on a size Small.